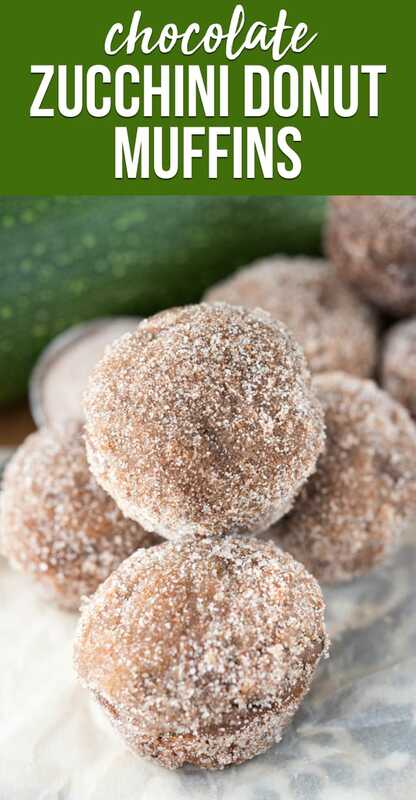 Chocolate Zucchini Doughnut Muffins are a perfect way to use zucchini. A moist chocolate muffin recipe is baked and then rolled in cinnamon sugar liked a baked donut hole! I miss planting zucchini. For a few years we had zucchini coming out our ears in our garden. One year it started producing in early June and kept going through August. It got so bad my husband finally just ripped the plant out of the ground because we couldn’t eat any more zucchini. Now I miss those days…I’m stuck with store bought zucchini and it’s just not the same. The biggest problem with growing zucchini, and you zucchini growers will attest this is true, is that you check and pick the zucchini and then the next day find one you missed the size of a baseball bat. That happened to us that one year about 10 times – and I’m not exaggerating. I made pie bars and brownies and muffins and then I decided to make these chocolate muffins too…and then I gave up and hid the rest of the squash-bats around the house so I could whack intruders over the head with them. 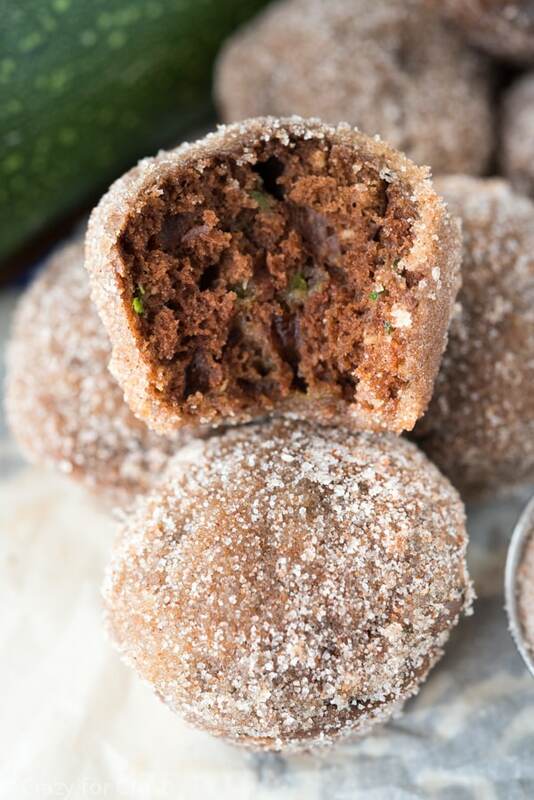 These Chocolate Zucchini Doughnut Muffins were some of our favorites! 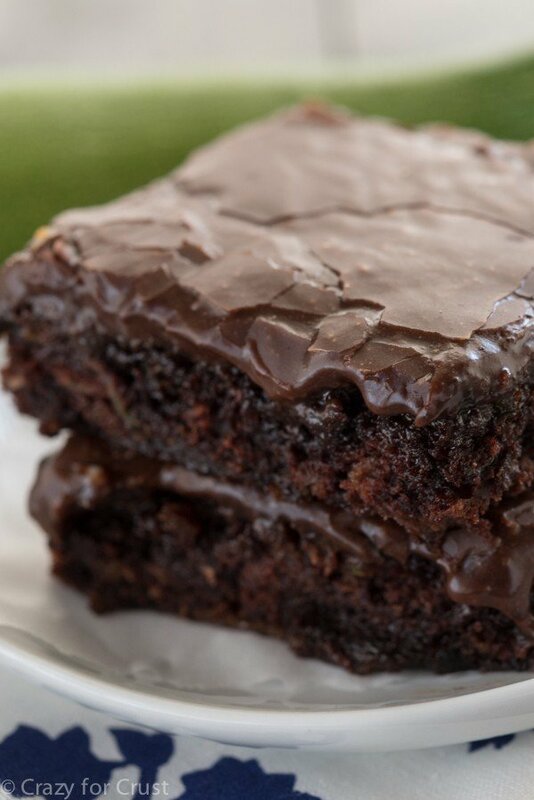 They’re soft and chocolatey and full of zucchini, but you’d never know it. They’re baked, not fried, so they’re a better-for-you doughnut. Before serving you brush them with butter and roll them in cinnamon sugar and then you eat too many to count. Or maybe that’s just me? 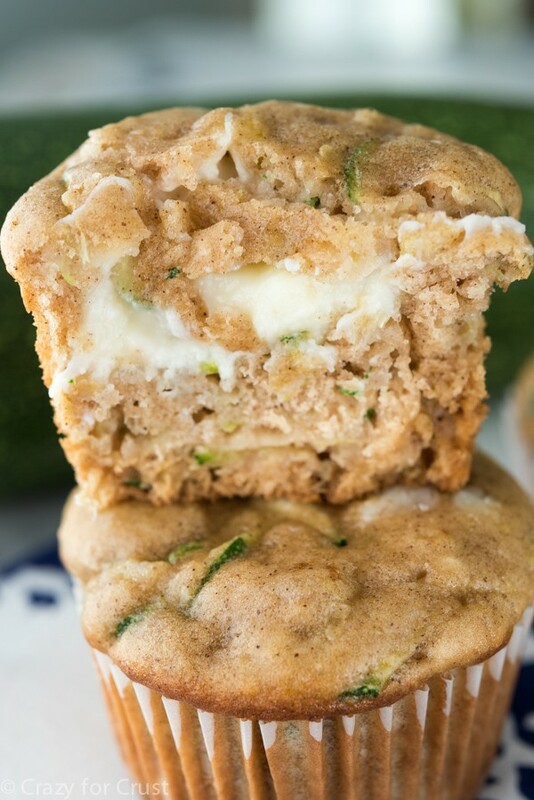 It seems like everyone searches about healthy zucchini muffins and I can’t promise these are healthy, but they are better for you than regular doughnuts. They’re baked, not fried, but you don’t miss the fried once you taste one. Dipping the muffins in butter and rolling in cinnamon sugar give that crunch that is expected from a cinnamon sugar donut! I guess maybe you can call them “a bit” healthier zucchini muffins with applesauce because I substituted apple sauce for some of the oil. That’s good right? But then I also added chocolate…and sugar…and butter. These are what muffins are SUPPOSED to taste like. How do you make doughnut muffins? All you need to do is bake your muffins like normal. You can use a regular muffin pan or a mini muffin pan. Just don’t use liners when baking! Once they come out of the oven and you can handle them, dip and roll them in butter and then roll them in cinnamon sugar to coat. Use up your zucchini and make yourself BREAKFAST! 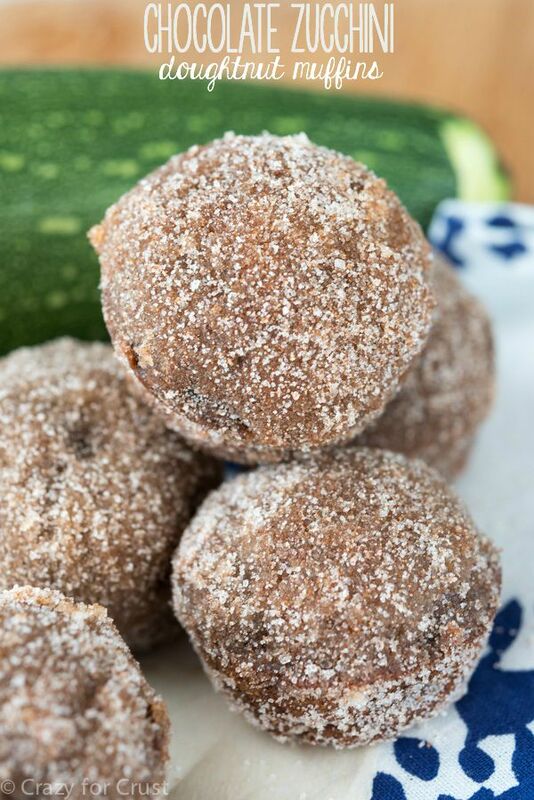 Chocolate Zucchini Doughnut Muffins are the perfect summer breakfast to use up that garden fresh zucchini! Don’t roll them in butter and cinnamon sugar until ready to serve. Do a double roll of cinnamon sugar to fully coat. Store unrolled muffins in the freezer for up to a month. 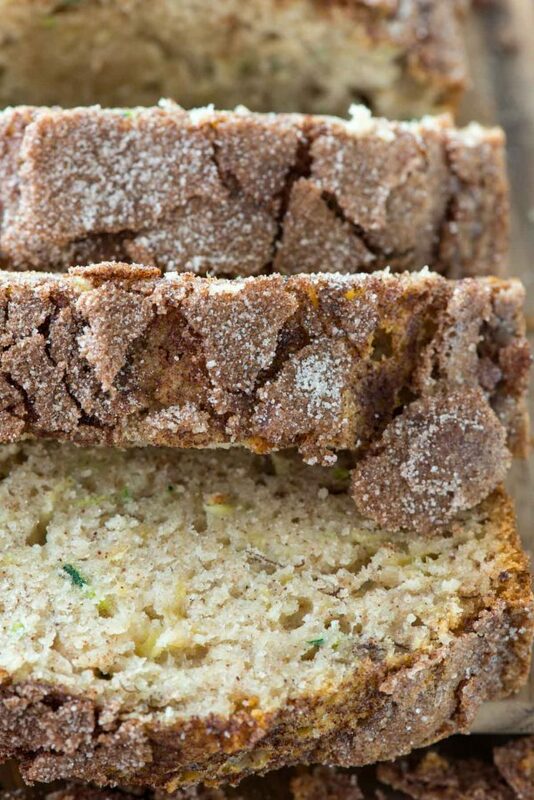 [mv_recipe post_id=”40584″]If you love zucchini recipes, be sure to check out Trish’s Lemon Zucchini Cake or Liz’s Zucchini Bread. This is a perfect EASY muffin recipe that tastes like a baked donut! 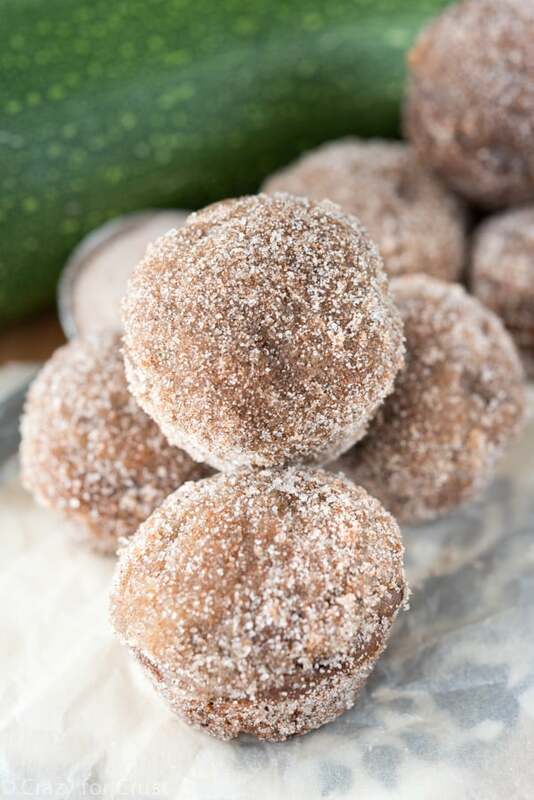 Chocolate Zucchini Doughnut Muffins are a great way to use up all that summer squash. Preheat oven to 350°F. Spray mini muffin pans with nonstick cooking spray. Stir 3/4 cup sugar, oil, and apple sauce in a large bowl with a wooden spoon. Stir in eggs, sour milk, baking soda, cocoa, salt, and 1 teaspoon cinnamon. Stir in flour. Stir in zucchini. Spoon into mini muffin pans (makes 48) and bake for 10-12 minutes until a toothpick comes out clean. Cool at least 5 minutes in pan before removing. Right before serving: Stir remaining sugar and cinnamon in a small bowl. Roll muffins in melted butter than toss in cinnamon sugar. When you use shredded zucchini in recipes, do you squeeze out any of the moisture first or just put it directly in? We finally tried growing zucchini for the first time this year and love it. These doughnut muffins look like the perfect way to use some up 🙂 They look incredible! Do you have to squeeze the zucchini before adding it to the mixture? Oh baby, these sound delicious! Our garden is starting to burst with zucchini, so I’m definitely making these!